You may have heard that the essay portion of the SAT is now optional… you may wonder what the difference is between the new SAT and the ACT. But isn’t the REAL question you’re left with: What am I going to see when I open that little booklet? Well, I can help you out a little bit there. Here are 4 types of questions you can expect on your new SAT exam. Searching for the most logical meaning in a chunk of text is something you can get used to on the new SAT. In fact, it’s what you’ll need to study if you’re planning on taking the essay portion! The following excerpt is taken from College Board. A) Ethan and Mattie share a powerful enthusiasm. B) Mattie strives to match the speed at which Ethan works. C) Mattie and Ethan playfully compete with each other. D) Ethan walks at a pace that frustrates Mattie. This type of question falls under the category of “Evidence Based Reading and Writing” for the new exam, and it’s basically what it sounds like — you’re finding evidence in your reading that points toward a certain conclusion. In the case of this particular question, the answer is A) Ethan and Mattie share a powerful enthusiasm… Wondering why? For the most part, the answer has to do with the REST of the reading, so BE CAREFUL. If you read the sentence by itself, you’ll miss the entire point. The phrase in question relates to times when Ethan and Mattie walked arm-in-arm. This is indicative of a more leisurely walk, not work-related. Within the context, Mattie and Ethan are described to be enjoying their time together, not competing. 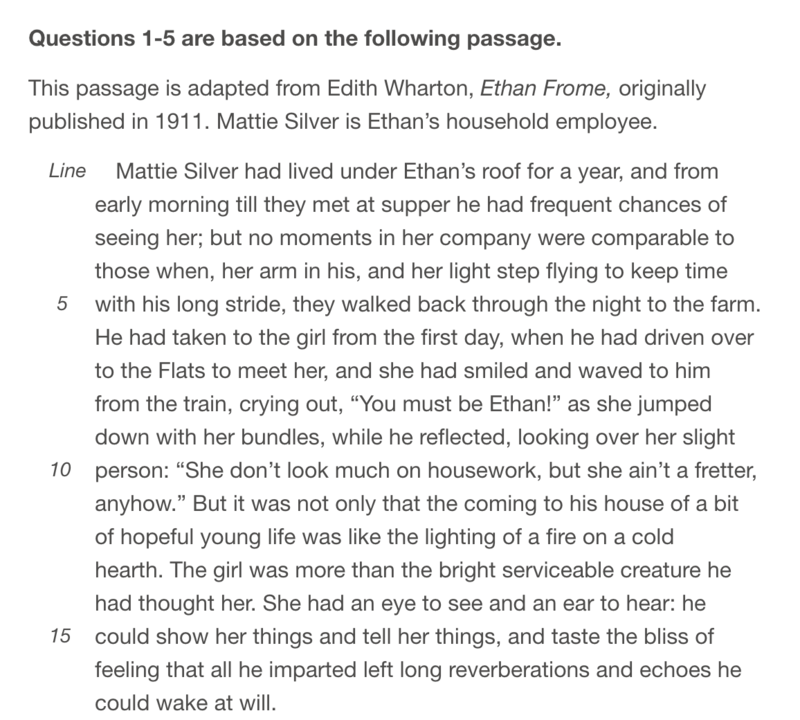 In the very next sentence, it describes how Ethan had “taken to the girl from the first day”, and among other supporting context, it is clear that Ethan enjoys walking with Mattie. College Board does a great job of providing feedback on both wrong and right answers in their sample SAT questions. You’ll see some basic grammar questions that test your knowledge of a few tricky things like where commas and apostrophes are supposed to go. 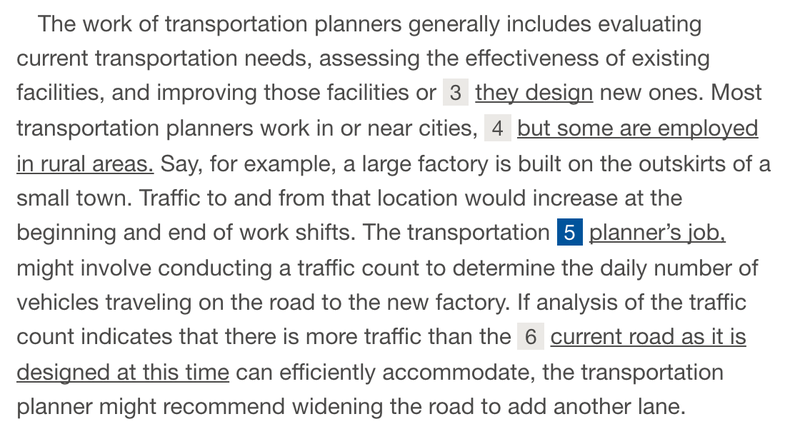 The answer is B, because transportation planner is a noun, and he is in possession of the job. More than just the basics of grammar, you may be asked to identify what grammatical constructs best complete a train of thought. Question: Which choice results in the most effective transition to the information that follows in the paragraph? B) where job opportunities are more plentiful. C) and the majority are employed by government agencies. D) DELETE the underlined portion and end the sentence with a period. According to College Board, choice A is correct. Watch out, because here’s where things can get tricky! Although the new SAT still doesn’t have a science section like the ACT does, similar types of questions to those asked in the ACT science section have been scattered throughout the SAT’s other sections. The following graph is taken from the Evidence Based Reading and Writing section. Question: Which choice completes the sentence with accurate data based on the graph? The best answer to these types of questions has to accurately interpret the information represented in the chart. 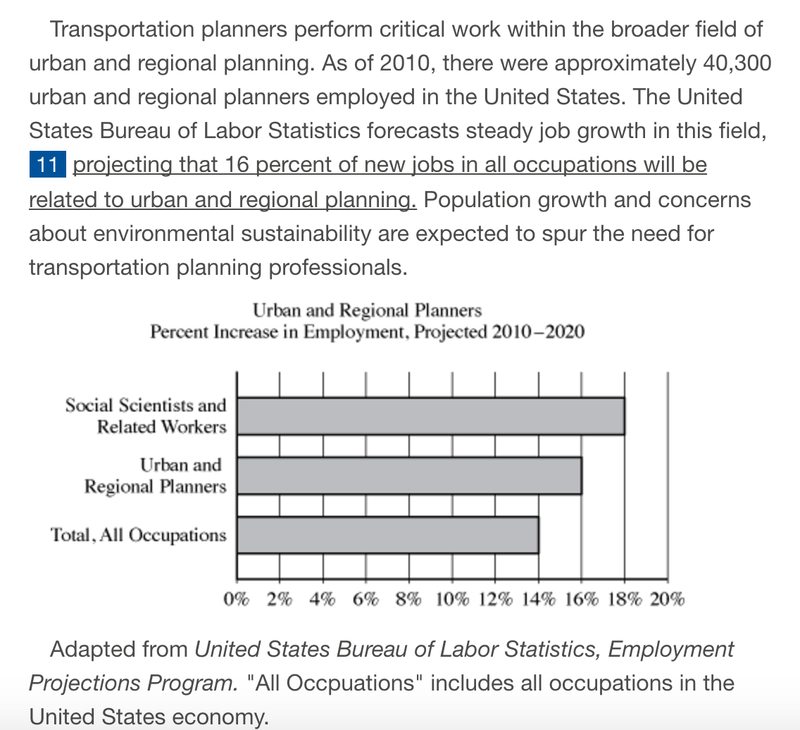 In this case, the correct answer was C) predicting that employment of urban and regional planners will increase 16 percent between 2010 and 2020. Whoever decided to throw the alphabet into math anyways? As if it wasn’t complicated enough?? Or, maybe you’re a whiz at math, and you’re wondering what I’m going on about. Here’s the main take-away: The SAT loves word problems. So be prepared to get thrown a ton of nouns, adjectives, prepositions and numbers all in one. The correct answer for the question above, by the way, is A.
Hopefully now you have a bit of a better idea what you should be studying for the new SAT. These are just 4 examples of the questions that you will encounter. If you feel like you got a headache just LOOKING at any of these questions, don’t stress! 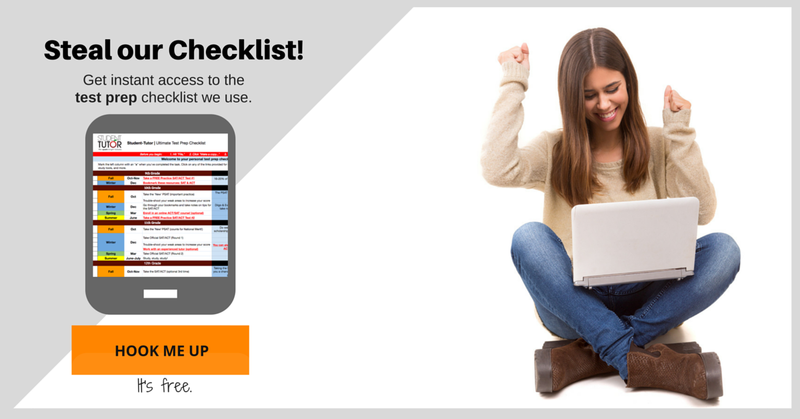 Now you have a better idea of what to tailor your studies to. How do you feel about these questions? Which do you think is the most interesting/challenging? Tell us about it in the comments below!